We are a leading Manufacturer of stainless steel eyelets for curtain from Delhi, India. Owing rich industry experience in this domain, we have been able to manufacture and supply a wide assortment of Stainless Steel Eyelets for Curtain to our clients. Our offered product range range are manufactured with excellent class of material that taken from our industry reliable sources. 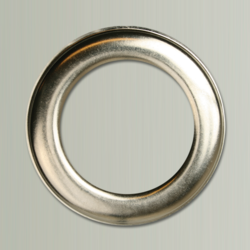 Looking for Stainless Steel Eyelets for Curtain ?